Categories: Jim's Formal Wear, MENSWEAR. 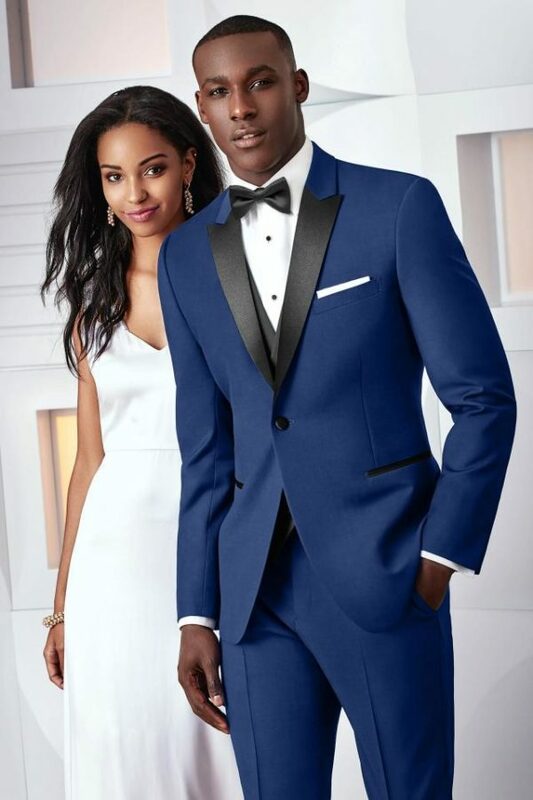 Make a statement with the Cobalt Blue Tribeca at your next formal affair. The ultra slim fit styling is tailored to fit all body types – including big and tall sizes. The Tribeca is tailored in a soft, luxurious Super 120’s wool fabric. It features a black satin peak lapel, black satin double besom pockets and black satin covered buttons. Pair it with a pair of matching or black ultra slim fit pants for a trim and tapered styling.